Get the newest games for Nintendo 3DS or Nintendo WiiU as eShop Code and download it directly on your Nintendo console - here at Gamesrocket. You don't have to buy your Games for the Nintendo 3DS handheld console or the Nintendo WiiU console in conventional retail stores: Here you can find 3DS and WiiU Games Download Codes for the Nintendo eShop. The new Nintendo eShop offers you the ingeniously easy possibility to download the games of your choice directly and experience them on your Nintendo console. The variety of Nintendo 3DS and WiiU Games Download Codes available in the Nintendo eShop is constantly increasing – the best games from many different genres, ranging from puzzles to action, racing games and much more, can easily be downloaded via wireless internet connection! Get rid of the need to replace 3DS memory cards or switch the WiiU CD´s every time you want to play another game: With the Download Codes that you can purchase here, you can comfortably save all the games you download from the Nintendo eShop on your Nintendo 3DS or WiiU console. 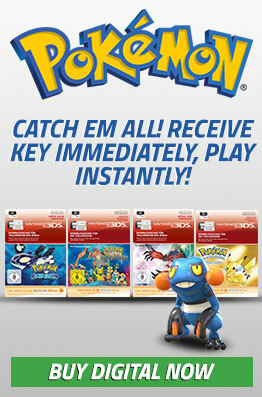 The best Nintendo 3DS and WiiU Download Codes are available here at Gamesrocket. Top games for the Nintendo 3DS or WiiU at bargain prices: Buy your games as Nintendo eShop Download Codes, play conveniently without changing memory cards, save ready cash thanks to our favorable prices, and look forward to receiving your Nintendo eShop Download Codes quickly via eMail within a matter of minutes. 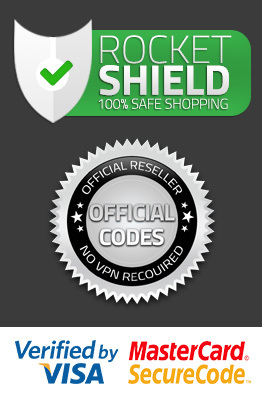 Buy Nintendo eShop Download Codes with paysafecard, via your cellphone or many other payment methods. While in the Nintendo eShop, you can only pay with Nintendo Points or by credit card, there are lots of comfortable payment methods available if you buy Nintendo 3DS Download Codes here at Gamesrocket!